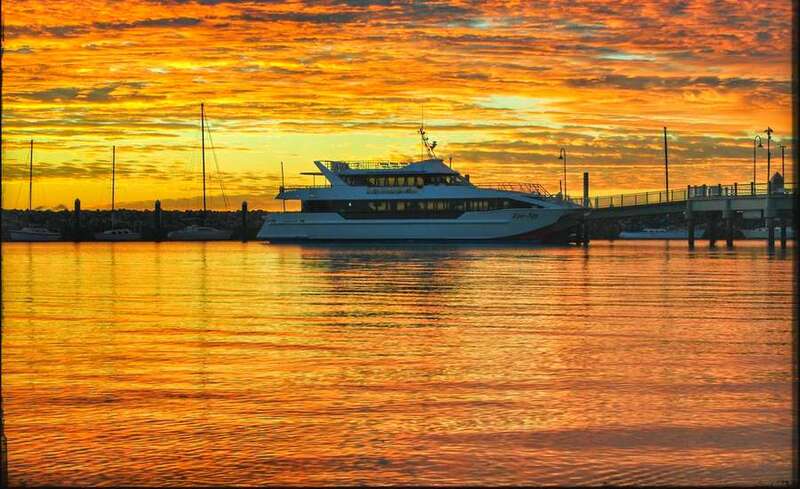 Relax on board our multi-million dollar catamaran and enjoy a beautiful sunset cruise to Moreton Island. 100% Sightings Guaranteed. Book your tickets early to ensure a place on board Eye Spy. Don't miss this once in a lifetime experience. Commencing June 1st. 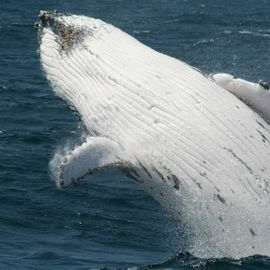 Each year the magnificent southern humpback whales migrate to and from Antarctica. As these leviathans of the deep make their way through our warm waters they feed, mate and play in the clean, clear blue sea of Moreton Bay. Take a relaxed sunset tour on the Moreton Bay waters, one of Queensland's most important coastal resource, located just out of Brisbane. 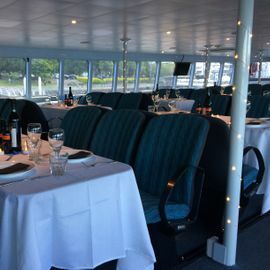 Entertain your colleagues and clients on board our exclusive venue, delight friends and family in celebration or just relax and enjoy, as Brisbane River turns on its dynamic display of cityscape and sparkling lights. 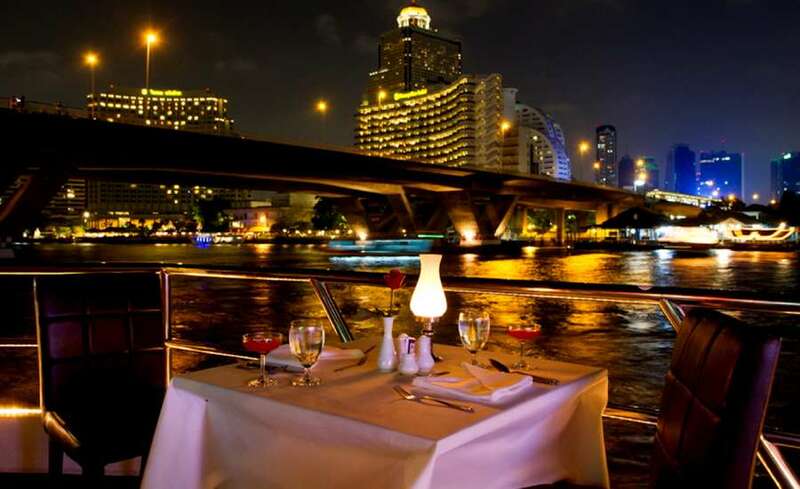 The captain and crew are friendly and welcoming and the boat was spotless. Whales were seen immediately and the day just kept getting better and better with more and more whales. The buffet had an excellent selection of cold meats and salads and there was plenty of food. If you come to Queensland, this is the best whale watching boat, captain and crew! An unforgettable day full of sights that will remain with me for a lifetime. Captain Kerry has an unending enthusiasm and a truly unique rapport with these amazing whales. 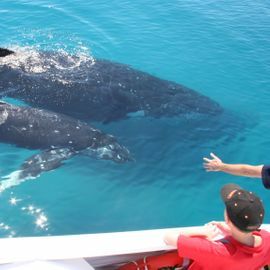 Don’t miss this incredible experience with Brisbane Whale Watching – you will not be disappointed. Truly unique rapport with these amazing whales. Don’t miss this incredible experience with Brisbane Whale Watching – you will not be disappointed. An unforgettable day full of sights that will remain with me for. 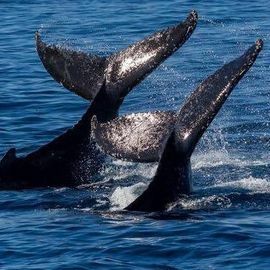 Thank you for providing the opportunity to watch this great creature – whales. Indeed it was our first experience and the display of the whales was magnificent. All in all, the meals served, boat ride and whale watching was just too perfect and made us our day complete. We’d love to come again in future. 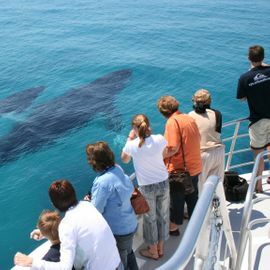 Brisbane Whale Watching departs 7 Days a Week – June to November. We are located just 30 minutes drive from Brisbane’s CBD and Airport and only 60 minutes from the Sunshine Coast and Gold Coast on the Redcliffe Peninsula. 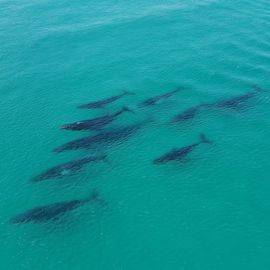 With only 2 commercial vessel’s allowed in the marine park for whale watching, we are you closest departing from the main land, right here from Redcliffe. 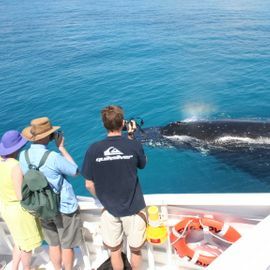 On board you'll experience sightings of the magnificent humpback whale and many other marine animals – e.g. Dolphins. All on the calm clear pristine waters of the bay. We have wheelchair access and are Eco Accredited. 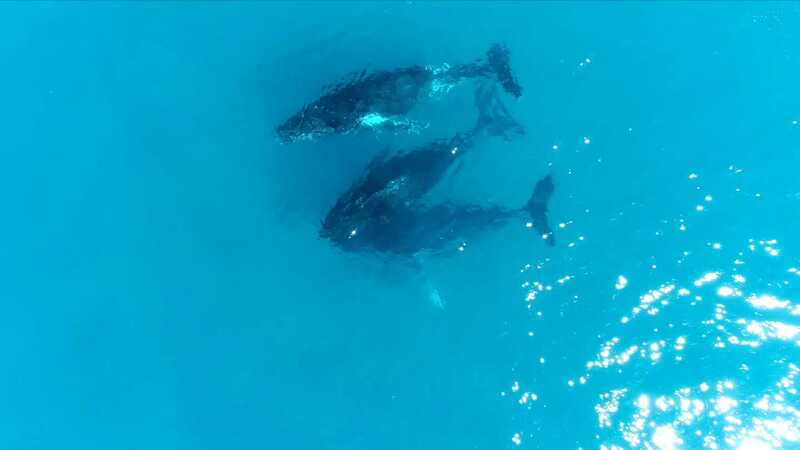 We have found that whales use the area to rest, bond and feed their young. 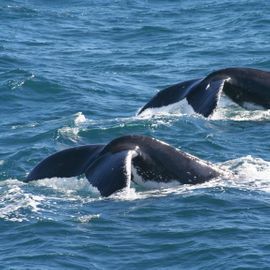 Often we'll see new born whales or even live births from the deck, up close and personal. A portion of every ticket price is donated to ongoing whale research. A licensed bar, snack and souvenir counter is available on board. 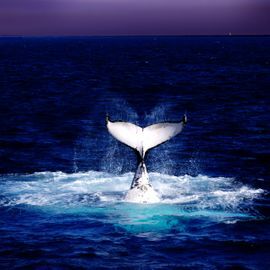 Brisbane Whale Watching is Australian owned and operated. Brisbane Whale Watching invites you to come on board the magnificent Eye-Spy for an encounter with the whales. 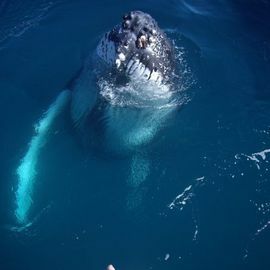 There’s no better place to observe the mighty Humpback than Brisbane’s Moreton Bay.